Looking for a beautiful, maintenance-free option for covering your windows? Eclipse Shutters could be the answer! There are so many wonderful advantages to installing Eclipse Shutters in your home. Eclipse Shutters are designed with cellular construction that has pockets of air in the louver and frame parts. This construction virtually eliminates solar heat gain during the summer months and provides excellent insulation during winter months. Save on your heating and cooling bills by installing Eclipse Shutters today! Because there are no dangling cords, Eclipse shutters are a safe window covering product for a home with children or pets. Another safety feature of Eclipse shutters is the GREENGUARD Certification for Children and Schools. Children are more heavily exposed to toxins than adults, so with Eclipse Shutters installed in your home, you won’t have to worry about what they may be exposed to. Eclipse Shutters meet the National Fire Protection Agency’s NFPA-701 standards. Eclipse interior shutters have built-in flame retardant qualities and won’t need any additional coatings or coverings in order to offer a high level of protection from fire. These characteristics make Eclipse Shutters a safe option for both commercial and residential applications. Eclipse Shutters have been tested and certified for both GREENGUARD Indoor Air Quality and GREENGUARD for Children and Schools. GREENGUARD Environmental Institute (GEI) certifies products and materials for low chemical emissions and provides a resource for choosing healthier products and materials for indoor environments. All certified products must meet stringent chemical emissions standards based on established criteria from key public health agencies. GREENGUARD Certification is broadly recognized and accepted by sustainable building programs and building codes worldwide. Water can be a destructive force around bathrooms, kitchens and other high humidity areas. The wrong types of materials in these spaces may rust, crack, mildew and even warp. Fortunately, Eclipse Shutters resist all of these damaging effects making them the perfect choice for water prone environments. Permanent marker is permanent on most surfaces, but not on Eclipse Shutters. Ink, crayon and other staining agents do not bind to the smooth surface. In most cases, soap and water is all it takes to remove unsightly blemishes. Removing the shutters for cleaning is a breeze. From the simplicity of the two-part hinges, to its ultra-lightweight composition, this shutter system can be removed from the window by a single person within seconds, and reinstalled without needing a manual. The Eclipse shutter has a resilient composition, and the durable finish makes dents and scratches a rare possibility. Eclipse Shutters are offered in a variety of sizes, colours and frame styles to fit any decor and come with either a traditional tilt-bar or Clearview – the hidden rear-tilt louver system which will allow you to open and close your shutter tightly in both directions. 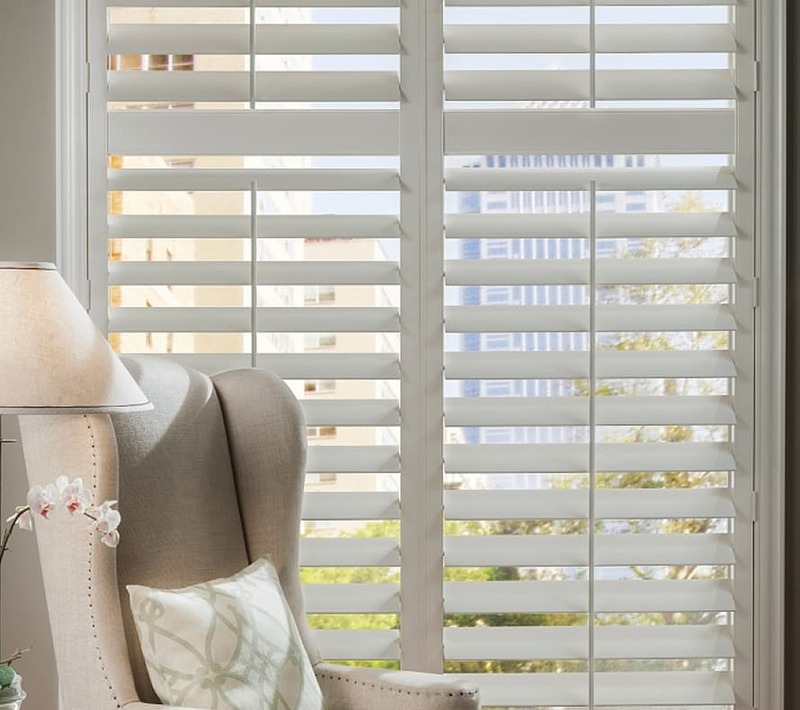 Offering total light control and complete privacy, Eclipse Shutters will give your home the finishing touch. Eclipse Shutters come with a 25 Year Warranty that promises satisfaction with an unconditional guarantee. For more information, please visit the Eclipse website.